Do you work for Outlook? Microsoft Outlook 2010, the premium business and personal e-mail management tool and calendar software to help you stay in touch. "great and effective organisation tool for better communication"
There is not a lot that I actually like about this platform. Why use a desktop client at all? These types of programs never truly work and its always leaving you wanting for more. Having something not backed up on the cloud is something that is truly annoying to me. And then there is the spam. I have an account that has had for about 10 years and it is constantly barraged with spam and I can not in any way get rid of it. It's quite annoying actually. I can't even use the email anymore using their system. I can filter it through google and they do a much better job. I dislike just about everything about the product. Sure the email system works, but it's just not in any way something that most people want. I had someone asked me why I still was using the program and I had to tell them, I don't really use it. It was embarrassing. The problem that I was trying to solve was back in 1998 when I created my first email account. I didnt have any other good solutions at the time. You realize what I am saying there. I started this account a long time ago and I cant even use it. I used it for business outside of high school and now I cant use it because of the spam and other reasons. If someone only had that email, I wont get their email. Which is very sad. Outlook makes it really simple to provide email company-wide. I love being able to use it on my desktop at work, online, and also through the app on my mobile phone. I like getting the desktop and mobile notifications because I have everything at my fingertips. With a lot of emails, it can be a little hard to sort them on the mobile app. On the desktop, you can see all the responses individually, but on the mobile app they're all in one thread. I hope Outlook changes this in the future. I would recommend Outlook to anyone in a bigger company that needs email/calendar services. It's really easy to be able to email coworkers with the company directory and be able to invite them to meeting requests, see when they're busy, use it to reserve rooms, and more. Outlook makes it easy to communicate with everyone throughout the company. We make a lot of use of the company directory - you just type in a name or a group name and it pops right up. This makes it so much easier to email someone you don't have an email address for. We also heavily make use of calendars to schedule events, meetings, reserve rooms, and more. Microsoft outlook is a personal information manager, in which we can link our corporate or personal e-mail accounts, has a large repertoire of options for e-mail writing, mailing, personalization of folders, rules, personal signatures , creation of tables, insert images, ETC. You can have order and control of your emails. At the moment of creating sub-folders and applying a rule so that emails from a specific sender arrive directly to that folder, it does not show me the notification of a new email on the desktop, I have to go directly to the outlook and update the tray manually to know that I have new incoming emails. Microsoft Outlook is the perfect software to keep your emails organized, you can manage different email accounts. You can keep your emails safe using a pst file. If the corporate mail server is of little storage with microsoft outlook you can solve this problem, since all the mails that enter in your tray directly are stored in a pst file that is saved in the folder my documents with the name of the account of emails that you linked. The clutter of emails in my inbox, with Microsoft Outlook I have organized my inbox by client, contact persons and emails with important information, so that when searching for it I can find it easily. If you go to a business meeting and hard 3 days from the office but do not have time to notify all your customers or important people, you can leave an automatic message programmed and every time you receive an email immediately that scheduled mail will be sent as an automatic response to all people who send or copy in an email. I love keeping my emails organized, and that you can search, and make folders so easily. I also like that as part of a team I can check in to others inboxes. I also like how the calendar works, I like the highlight feature and the way you can add a whole email into a calendar appointment so you can easily recall without searching. I don't like that when I search I cannot find the deleted emails. I also do not like that when I look in anothers inbox I cannot look into their folders. I also don't like when somehow I hit a button and the whole layout of my inbox changes. I wish there was a way for me to say go back without having to search and google for how to get it back to my regular view. I wish the recall was more responsive, and would let me know if it works or not. This is a great way to keep emails organized. A really top notch program for businesses. I really enjoy how customizable it is and how easy it is to use. I like how you can add contacts and their business cards. I also like that WORD is basically integrated in it so its easy to edit the body of the email instead of adding an attachment. I also like the recall feature so when I forget to add an attachment, or if I don't want to send something I can take it back. What I like most about Microsoft Outlook is the ease of use. I use Microsoft Outlook on a daily basis for work. I go through thousands of emails a week and love the ease of finding specific emails that I may need and the ease of organizing my mailbox with folders. I love that I can send appointment reminders, share calendar invites, keep my contacts all in one place and even put together a task list for daily motivation. I love that I can access my flagged items and that they appear on the side for easy viewing. I appreciate being able to customize the colors of the backgrounds and be able to change it based on my mood with a single click of the button. What I dislike about Microsoft Outlook is the speed of recalling an email. While I am not one hundred percent sure that this is a Microsoft Outlook issue, the times that I have used this feature, possibly 9 times out of 10, I was not able to recall and the recipient had seen it. It's not a huge deal, but it's something that has been done enough times for me to remember. If you are a business looking for a platform for emails, check out Microsoft Outlook. What business problems are you solving with using Microsoft Outlook... I think the main thing that I would focus on is that many and most all large businesses use Microsoft Outlook for their emails. It is probably the most secure for the amount of emails that are sent through daily. "Default and Adequate Software, Unexpected glitches"
The calendar and repeat scheduling features unfortunately leave a lot to be desired. When moving locations or changing any detail about an event, it can appear that the entire series is cancelled to the invite list, but the coordinator/owner of the event cannot see it. Sending out reminders and notes to the entire attendee group is also not very intuitive, and often times the recipients recieve different messages than the one the sender can see. "A standard but could use a refresh"
One of the things that I do like about the program, is that it is a trusted name. There is a lot of stability in the platform and it is still very intuitive and easy to adopt. While a stable platform, little has been changed in this application. I think there are tremendous opportunities for this product to help users get to the ultimate goal of "inbox zero". The search and indexing features do sometimes make it hard to quickly fin data within the application and I really wish there were some better AI used in categorizing items within the application. Outlook could be a great tool for newer users to learn some great skills in digital communication and calendaring, but instead they have relied on the same old same old, with little change. I actually prefer Google products when it comes to Email, calendaring and task management. I think those platforms offer a little bit better indexing and integration into other services. Currently I use this platform for email, task management, and calendaring. We do have the add ins for room scheduling, but we are still looking for a more robust and user friendly solution. Microsoft Outlook is the quality needed for the professional business I work for. Love that it's professional and easy to use on my PC and my mobile phone. There are many options for setting up your mail, calendar, contacts, including advanced settings to your business needs and personal likes. I am not 100% happy with the new look and themes that have recently came out with the upgrade. If you are looking for a high quality email and calendar software for either business or personal needs, Microsoft Outlook will satisfy that need. It is important for me to be in contact with my clients 24 hours a day, 7 days a week and Microsoft Outlook makes this possible most of the time. Our business is run by emails, so depending on a great email exchange is crucial and Microsoft Outlook has given me that security even when I am not at my desk. 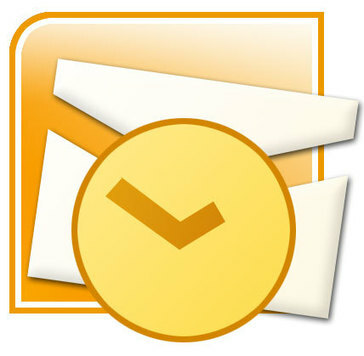 "Microsoft Outlook - The Gold Standard in Mail Clients"
The best part about Outlook is the organization of it all. With each release of a newer program, they stick to adding things in to help keep you organized, such as color coding emails from certain senders, or the task list. Sometimes, certain errors come up that are not clearly evident what the issue is. Many times it's cloud related, but you have no way of knowing. I wish there was some type of service status window inside Outlook that you could click on. There are many email clients out there, which are just fine. However, Outlook is pretty much the "gold standard" that I stated in my title, when it comes to email. The invite functions are pretty much standard across all different sorts of users, from business to personal email. If you are using something else, you are missing out on a plethora of features, from task management, to rules based routing of emails. You are just not going to find that in something like "Thunderbird" from Mozilla. Communication via email the major thing we are resolving, along with organizing tasks. "Excellent for accessing emails daily "
I work from home, so having my email up and running all day is crucial, it's my main way of communicating with everyone in the office. It updates immediately and I don't have to wait for emails to show up. It's a seamless way to access emails. I don't like all the options at the top, I'd like to be able to hide the majority of the advanced things so I can find what i'm looking for immediately. Nothing else really makes this product bad. Use it.. it's much better than any other email platform, or using a web-browser platform. It's all inclusive and lets you sync your calendar and such with other employees. Working from home, I'm able to keep in touch with co-workers and repair facilities by having seamless access to my email at all times of the day on my desktop and on my cell phone. I like that Microsoft Outlook allows me to access my work email from home. I use a MAC at home and I actually do not like the normal mail application. I have found that outlook allows for me to incorporate all of my emails, whether it be work, home, or professional email accounts. At least on the MAC application of outlook, it looks a little outdated. I think the user interface needs a new upgrade to make the product look like its from 2018. I would recommend using Microsoft Outlook for you work emails. It will allow for everyone to stay up to date with all things related to work, while out of the office. Microsoft Outlook allows for me to log into my work email from home while off of work servers. This comes in handy when I need to respond to important emails out of work hours. I get a lot of emails from our distribution network and this program allows great organization of emails, as well as automation of sorting these emails into the correct locations. I really like the ability to customize emails in a personal way. It's simple to set up a signature for all of your emails, including adding a picture to your signature. I also like that the program checks your email addresses you're inputting, this allows for less mistakes in sending emails to the wrong people. If you aren't constantly using the program it can lag on refreshing it. I generally am using multiple programs at a time and outlook generally sits in the background of my other programs. If I don't check it every so often it can take a bit longer for it to update the e-mail. I recommend looking into the settings of this program. There are many unique features that will allow you to change almost anything inside it. The forums are a great help when you're struggling to get anything to work. We've used this product to keep in touch with our distributors all over the world. It's allowed easy access to many different avenues for us. It's quick, simple, and very easy to use. The integration of outlook on our phones allows on the go access to emails as well. Since some of our workers work from home occasionally it can be easier to get in touch with them this way. "Broadly used corporate email platform for good reason"
Outlook has many settings - my favorites are to add a signature at the end of your email, set an away response,, set up specific email folders and to flag important emails. I have the ability to access this on my mobile as well, which allows for numerous notification options. I like when it vibrates when I get a new email, for awareness and to stay connected. The events calendar is also integrated with your phone, and will send you notifications (if you set it up) of meetings, etc, that you have scheduled for the day. I never forget anything anymore! New favorite feature: Outlook can now warn a user replying to an email if they were blind copied, so they can choose not to reply to everyone but only the sender. There is a limit as far as how many emails/space I can have in my inbox. I then have to delete emails, my sent emails, and/or the trash bin to free up space. If I need to save certain email chains, I recommend that you make a "personal" folder connected to your desktop computer space saving. However, this is not accessible on mobile. Microsoft Outlook has been working for years to constantly improve it's features, and with each update they definitely do that. Communication is more than crucial in any business environment. This allows for unlimited communication of policy changes, reminders, and leader memos to be sent company wide. This connects all of our employees on a global scale. "Outlook is my favourite email software"
Fast access to preview of attachments. I like this especially for pictures or documents -you can review the attachments and select what you prefer to save or forward to someone else. I also like that I can add a reminder on an email and the entire content is pulled out when I need to refer to it. I like how easily notifications can be snoozed or dismissed without actually getting into the calendar. No on-line access to email and calendar (I have them downloaded locally). It is a bit hard to find features in settings. I only use the Outlook Calendar for reminders -this is not my main calendar. Make sure you learn how to use as many as features as possible. I find out that most of the time I am required to take fast action and stick to the basics, whitout allocating sufficient time to learn new things about the software I use. As with any software, the more you know about it, the more you can increase work productivity. Use it to communicate with clients and business partners, and for advertising. Also use it for filling on dedicated project folders for easy reference. It is user friendly and I like the interface. Easy categorized emails provide fast searches. All translating in time saving. "A Desktop Email Client - Outlook"
Advance file editing and conversion functions should be integrated. Mobile application is not stable with some of the operating sofatwares. It is the main email client used in Solid Analytics. All the employees are communicate via outlook and all the employee email accounts are encrypted and protected specific user access to safeguard sensitive information from potential threat. It has other advanced functions such as calendar and meeting schedules that can be set for internal groups and personal reminders. Even using virtual private network for mobile devices outlook has specific safeguard measures that can be used when accessing remote mail servers from out of office. "Good software - they made great improvements"
Conversation feature to group email conversation threads is very helpful. Flagging options and colour coding of emails and categories is one of the best features for organizing email and calendar items. Larger files are able to be attached than most other email software. It also lets you import social media contacts straight into your address book. It also automatically saves contact information from sent and received email messages, so you don’t have to manually enter them. Outlook is a bit confusing to set up and use because of its numerous options. You cannot create smart folders, flags, or rules that "learn" by example. It is a lot better than when it first came out. I was not a lover of Outlook and did not want to switch but have to say that I do really like the product now. There are a lot of options for coding emails and calendar items by category, by flagging, folders, sub folders, by colour coding etc. "Simplistic and very user friendly. " I like that it is simple. I never have any issues with sending or receiving. I can access my work email remotely. I can set up a vacation notification when I will not be available. Setting up signatures if multiple are needed, it is easy to add more than 1. I do not have any complaints with this email program. It is truly an easy office email client. The benefits I have are that I can see the people I work with and see if they are available, away or if they are out. I an able to search the database for people and can add them directly into the "to" area. I also love the fact that it integrates my calendar and sends me reminders for important things. "Much improved, but archaic when compared to superior options as GMAIL"
Decent amount of storage, basic e-mail functionality, intuitive to use and fully compatible with mostly every device either by webpage or standalone app. Full integration with Microsoft's Windows and office software. It has been around longer than mostly everyone of the known alternatives. Archaic, slow to catch up, had it not been because I've been using it since 1997 and have a gazillion contacts and old emails I would have abandoned a decade ago at least. Smaller available storage when compared to similar options. Always playing catch up in features but never up to par, the UI while better than it used, still leaves a lot to be desired. Forced integration with other Microsoft apps like Skype which somehow ends up signing online without asking me everytime I open the hotmail email. Atrocious spam filter that lets everything through and sometimes blocks needed email. Just avoid it and get GMAIL instead. I have used it for 21 years for all types of home, personal, school and business communications. "Revision de servicio electronico Microsoft Outlook"
Este programa tiene la funcionalidad de enviar y recibir correos electrónicos, al igual que almacenarlos, cumpliendo esta funcionalidad se le da provecho en cualquier ámbito laboral como académico, cualquier usuario puede usarlo muy fácil y rápido,puedes enviar cualquier tipo de archivo,documento,imagen o texto,este gestor de correos electrónicos proporciona facilidad y rapidez en envíos de información en cualquier parte del mundo de forma instantánea,cuenta con un buen soporte técnico de ayuda con una interfaz muy fácil de usar. En algunos casos presenta un leve problema al buscar correos guardados en el recuadro de buscar permanece congelado por un periodo de tiempo ,esto lleva al usuario actualizar la pagina un par de veces para acomodarlo. Recomendación a todos los usuarios de Microsoft Outlook agreguen un correo de recuperación y un numero telefónico para mayor seguridad. El beneficio de esta interfaz de correo es muy grande, ya que es manejado a nivel educativo hasta las grandes empresas, manejando un buen uso del intercambio de información resguardada, se debe tener en cuenta que toda cuenta en microsoft outlook es privada,cuenta con su propio sistema de respaldo de datos One Drive el cual almacena cualquier tipo de información que quieras descargar para evitar ser borrada. "outlook is the most used exchange around"
outlook has so many features that you can use. The calender is the best, invites and reminders that you can have alert you on your cell phone. Its easy to acess outlook mail from your mobile devices. I love the rule features so you can really customize how you want your outlook to function for you. i love outlook and how many options i have to customize my inbox, sort, organize and set rules. Being able to get meeting invites out and replies recorded is so much less stress in my life. meeting! being able to invite, keep track and get reminded is the best for us. the instant window when a new email arrives is also nice so you can preview what came in without opening unless needed. "Great for Organizing Emails, But Not As User Friendly As Google"
Clumping emails together based on the subject line is extremely helpful for getting organized. I also really enjoy the way it integrates with Outlook Calendar. Receiving emails of calendar invites and the ability to respond within that email instead of solely through Calendar is great! i wish it was easier to drop photos or screenshots or gifs into emails. Instead of just drag and dropping, you have to do so many more steps to include a snapshot, not an attachment, to an email. And don't even try sending gifs to teammates - it doesn't support them! Microsoft Outlook is a great email and calendar tool. If you buy into the entire Microsoft360 plan, it's definitely worth it and integrates extremely well. It's not quite as easy to navigate as Google Drive/Gmail, but once you get used to it, it's a great asset! The integration with Outlook Calendar, Skype for Business and Sharepoint are extremely helpful. We're able to use it in our agency setting and have all of our information in one place. Outlook, along with it's supported apps such as Skype for Business, are critical in keeping up with communication between our team members and clients. "User for years, won't switch from Outlook!" Outlook is such an easy email platform to use, whether you are on the app or you are on a web browser. There are so many features that are really easy to use. It makes it easy for you to save and find anything you could be looking for in your account. It was a little tough at first for me to figure out a couple of the things (like that I have to be on the web browser to set an automatic reply), but once I figure it out, it made it really easy to use. I use email every day for my job. As things have turned more digital, it has made it easy for me to get information and advertisements to clients and potential clients. The thing I like best about Outlook is not only the ease of signing in, but also how it connects my To-do list, my calendar, and my mail together. Not to mention, it is amazing at filtering Spam mail. Another thing I love, is how it also lets me to create multiple folders to be able to sort and keep my emails organized. The thing I dislike most about the application is that it doesn't show my flagged email at the top. The purpose of a flagged email is to portray significance, and having the flagged email in with my inbox does not rely give my a reminder that I have to give an email attention. Amazing app! Very user friendly, highly reccomend! For communication from colleagues, as well as sending attachments and files. Also used to book meetings as they pre-populate on the calendar, and send reminders 15 min prior. "Excellent but has some things to fix"
I love the sleek and innovative feel of my email. Everything is so nice and easy to use. My calendar is synced with everything and to save a date, all I usually have to do is click. I didn't notice until I started using Gmail for another business but the email is a little slow. For the most part, this has been resolved but when I email things with outlook on my phone it takes a minute to get delivered whereas if I use gmail it's delivered instantly. I highly recommend this app for the company or persons that considers themselves highly organized. This will definitely help to maintain that organization. In addition, it works great for keeping up with all of your appointments and calendar events. Its easy navigation makes it an expert in its field. I wouldn't use any other app. We use a shared email at work and need to have access to the calendar. Its great because we can all see whats on the calendar no matter who saves the appointment. It is an extremely well organized email. I love it so much that I use it for my personal email as well. I use my work calendar all the time. What I like is how seamlessly my phone and my outlook calendar can link to each other. I am able to check my work schedule from anywhere. Being a busy working mom, I am able to keep all of my dates organized and together. I also enjoy using "quick parts" when I'm composing emails. We have some pretty standard responses that we use when responding to students and I'm able to save a lot of time using this feature. I log in with multiple users and accounts. I don't like that I have to log in separately to do a mail merge. Otherwise, the mail merge defaults to my personal account when I need it to come from our general email, shared email box. I have forgotten to log out and log back in and have sent a mass email to 600 students from my personal box. Using the calendar feature and being able to access my information from anywhere allows me to be able to accomplish work from home or vacation quickly if needed. "Able to Use Multiple Email Boxes at Once"
I have 3 email boxes to work within and monitor - my own personal work account, one for my main department, and one for another department I help with. I have all three boxes visible within my email view and can very easily switch back and forth from one to another just by clicking on each, just as you would by clicking on different folders within each individual email box. There’s a feature which allows you to recall emails already sent, as long as they haven’t yet been opened, however it will only let you know if it was able to be recalled or not once each recipient clicks to open the email. It should be able to recall the email immediately as long as it had not yet been opened, instead of only being recalled once the recipient clicks on the recall email. We are able to work primarily digitally by having email access and by having long retention times for our emails as documentation. By having access to multiple email accounts, we can have more than one user monitor each email at the same time, and we don’t have to waste time by logging out of each email account and into another when we want to switch accounts. Outlook is best for organizing emails with ease, setting up appointments/meetings, the works. I also like the easy ability to view my emails offline while travelling or just not at work, as well. Occasionally it breaks and crashes, and I've had to uninstall and reinstall outlook twice now in the past three months. I just wish it wasn't as buggy. Please prepare for any times it may go down to the point of having to reinstall it. Make sure you save all the attachments and drafts you need just in case! I use outlook for my basic communication purposes, and I use it to do my job as an inquiry analyst 100% of the time. "Superior App for Work Communication"
Our entire institution uses outlook which makes communication in the workplace extremely efficient. The email application has numerous features to be able to maximize the potential for corresponding over email. Also, email can be accessed online, allowing for the application to be used from any device. Additionally, the calendar application is a great way to organize one's own schedule as well as to see the availability of others to streamline scheduling. The calendar can be used to invite people to meetings or events and can also be grouped by different types of events. There is also a reminder feature built into the calendar so that you will never be late or forget any upcoming meetings or appointments. The apps can be overwhelming with the amount of features that are available, but you do not need to use all of the features- they are only there to enhance the work that you are creating. Once you become familiar with the application, this will improve the quality of your communication. This is the most sophisticated way of communicating in a professional setting, and so I highly recommend the application. Our institution uses outlook for all correspondence over email as well as organizing calendars and scheduling among professionals. I use it everyday, at work and at home. It is one of the easiest tools to use and is very user-friendly. I absolutely love how I can access multiple mailboxes. It could use better appearance, and more options in regards to calendar, especially when opened using Safari or Chrome etc. Definitely consider it! It is super efficient. One of the easiest things to learn at a workplace. It allows you to organize emails into folders, filters out junk email, allows for calendar sharing and organization, has a scheduling assistant to prevent time conflict and even allows for time zone adjustment. It is an extremely useful tool, and can be used across devices. No matter how technology-savvy you are or are not, it is definitely the most recommended software, across the globe! We use microsoft outlook on an everyday basis for work in an organization. Some of the most important benefits are calendar, scheduling assistant, and an in-built word software! "This is the Outlook on Microsoft Outlook." "Great mail system that is user friendly"
I enjoy the singular uniformity across all of Microsoft Office products. All of the systems are similar in structure and function, making it easy to move from one platform to another. No dislikes at the time. I believe my specific issues are due to management permissions, not a software problems. My system is not set up for autofill, which can be a pain when sending inter office communications to common/recent senders. I would recommend taking advantage of all trainings provide for Outlook. There are several functions that create time saving short cuts in the system. Outlook provides a centralized email systems that is syncs well with all of my other systems and platforms. It is user friendly and intuitive. "Microsoft Outlook is extremely professional and user-friendly! " I use Microsoft Outlook at the university I work! By using outlook instead of any other email, I have the impressibility of diving my private life and my work. With Outlook I communicate with students, colleagues, professors, etc. Microsoft outlook is easy to access whenever you are! From your computer and mobile phone. And you can easily send emails to everyone around you! I even added a personalize signature that makes me feel even more professional! I am able to organize my emails by content and to create folders to easy divide my information. I have a group with students and a different one with professors! I like that I can pin emails to easily access whenever I need them! Also, even though I do not have it at the moment, I can link my other email accounts to outlook and receive all my emails in the same inbox! That is absolutely amazing! An extremely useful feature. I can also easily search for people or old emails, so I am able to reread them anytime I need it! I even have a calendar where I can add all my events and receive notifications! In that sense, I will never miss any deadline or meeting! There is nothing I dislike! Microsoft outlook works perfectly! Get a Microsoft Outlook account and your business will increase dramatically! I use my personal outlook email to communicate with students and professors! I can use my email with Microsoft Outlook to look more professional! Instead of using my private emails, I can have an account to communicate with people in my field and future employees. Outlook, like other Microsoft products, is easy to navigate and customize, both for usage and company specific needs. I like that I can organize my inbox in a way that is logical to my workflow. Outlook often freezes, especially when opening after the machine has been turned off. It also could have a much better task list feature beyond flagging, incorporating the to-do list function would be much more functional, especially if it asked you if you would like to fill out a to-do item with details, as flagged emails don't necessary get the follow-up they need, as they get buried in the pile. Consider how your workflow can benefit from the customization of the user interface and the automation that it provides. Outlook creates a unified presence across the enterprise while also incorporating with Skype and Teams, allowing for one-stop-shopping when it comes to creating meetings and joining meetings. "I like it better than other email services for work related projects. " Easy to make folders, and it splits the UI into 3 sections so I can organize my folders quickly and effortlessly. If you use any other office program then this will be easy to operate. It was easy for my company to setup for our needs. I can't think of anything that was really difficult to use or difficult to customize. I dislike the new look, however my company uses the old style which i'm very happy with. The new look is very confusing and too flashy. Most powerful and easiest to use email software I have ever used. I'm sure it has it's limits and faults, however I have not ran into any of them. We use outlook for all company related emails. Outlook is a great email system. It is convenient and I like the way it is set up. I used to like the way gmail was set up until they made a bunch of new changes. Outlook is friendlier and it is organized. There are so many things you can do with it- especially since it is compatible with other Microsoft products. The only thing I don't like about Outlook is that you cannot copy and paste your away message when you put up your out of office message. I usually like to provide people with links online to find resources if they cant reach me so its annoying to type out a hyperlink. Outlook is a great system to use to keep communication organized. Internal and external communication between staff and students. I think it makes things easier when everyone is using the same platform. We solve most of our problems with the help of Outlook.